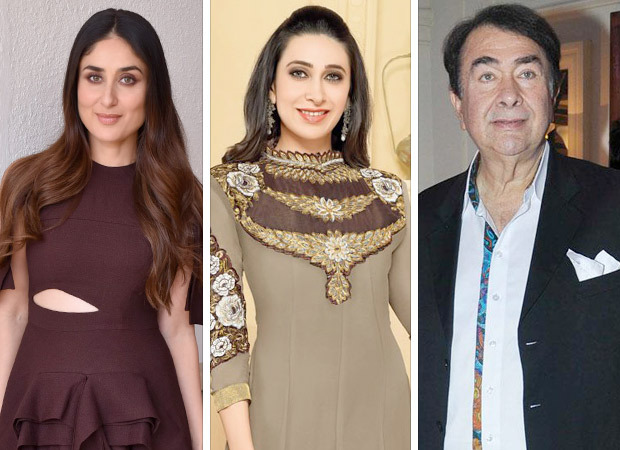 HomeCinemaMasalaKareena and Karisma Kapoor gift a fancy Swiss vacay to daddy Randhir Kapoor! Kareena Kapoor Khan and her sibling Karisma have always been mamma’s girls. It is a common knowledge that they spent more time with mother Babita than their dad Randhir Kapoor. But their sweet surprise for their dad on the occasion of Father’s Day is beyond beautiful! The Kapoor sisters have gifted him a vacation to Switzerland and all of them are set to holiday together. Kareena Kapoor is currently in London with husband Saif Ali Khan and baby boy Taimur Ali Khan. Last week, Saifeena were completing their professional commitments as they are roped in by an international brand to endorse the same. As they mixed business with pleasure, they were joined in by Karisma Kapoor and her children and now Randhir has joined them too. Kareena left for London after Veere Di Wedding released and she completed all the promotional work for the same. She was later joined by hubby Saif as they had to shoot a commercial together. Soon, Karisma too came on board with kids and they thought it would be nice to go on a vacation in the exotic Gstaad and Interlaken with their family. So, they flew Randhir to London first and will now go to Switzerland. That way, grandpa will be able to spend time with Kareena’s baby boy. In addition to Karisma, Sonam Kapoor too was in London with husband Anand Ahuja where she ringed in her birthday. Kareena and Arjun Kapoor (who was in London for a shoot) caught up with them. Kareena will start shooting for Karan Johar’s movie by the end of the year. Akshay Kumar will play a male lead opposite her.